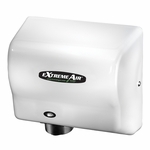 The Microburst 9000 aerosol dispensing system is the lowest cost in use odor control system available. The Microburst refills deliver three times the odor control and fragrance as ordinary refills and contain 63 percent less VOCs per spray than a standard aerosol. The patented refill actuator distributes the finest dry mist for long lasting performance. The Microburst 9000 system maximizes cost control while providing greater coverage and long-lasting odor neutralizing and fragrancing. Delivering Cost Effective Customer Delight One 9000 refill will replace three standard refills � 90 to 180 days of maximum odor control from one refill. This also allows for less packaging per spray. World Class Reliability Flexible programming options: high or medium; 12 or 24 hour per day; 5, 6, or 7 days a week; and a 3 year battery life� trouble-free operation. Ease of Installation Simple 1 minute installation � customer convenience maximized and immediate results. User-Friendly Performance Microtrans� Odor Neutralizer breaks down and eliminates malodors. Powerful, consistent, fresh fragrances reinforce the high standard of restroom cleanliness and ensures patron satisfaction. One dispenser will control up to 6,000 cubic feet of space. Weight: 3 lbs per case. Net Weight per Can: 5.3 oz. Unit: 1 case of 4 refills. Fragrance: Mango.